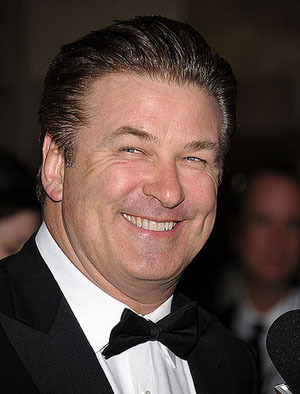 Everyone’s favourite Baldwin (who’s alter ego is the incredible Jack Donaghy) has mobilised his Twitter followers to get rid of an online troll. But was that REALLY the right thing to do in retrospect Jack? Despite the fact there’s far too much Bieber-related content online, the single most annoying thing about the interwebz has got to be angry trolls. They talk about irrelevant rubbish, they swear, they’re weirdly agressive and they JUST NEVER QUIT. So, we’re sure we’re not the only ones who’ve been driven a little bit loopy by them in the past. It’s no surprise that the legend that is Baldwin’s calls to action paid off. Many of his followers said things to @scarfacemadam, then she/he deleted their Twitter profile soon after. According to E!, Baldwin has declined to comment on the story and deleted a lot of his tweets asking for help. Now as we said earlier, we totally understand Baldwin’s frustration. Trolls are nasty. Trolls that attack a loved one are even worse. But, we can’t help but think that mobilising an online lynch mob to be just as agressive back to @scarfacemadam isn’t the answer. But then again we’re not willing to argue with Jack Donaghy. Ever. So tell us what to do next please Jack, we’re ready and waiting like mindless drones for your next command. LV Handbags is always wise to keep in mind when you're using social networking platforms, you are playing in someone else's sandbox. Which means their rules apply. And since your financial investment in these social networking platforms is roughly zero, you really don?t have much of a leg to stand on when things go awry.